Avendus Capital advises Transpole Logistics on its fund raising from Everstone. Transpole Logistics, the Delhi based logistics services provider, has concluded an INR 220 crore fund raise from Everstone Capital. In addition, some of the existing investors in the company including Fidelity Capital also partly exited their investments. Transpole Logistics Private Limited., which provides a wide array of logistics services like freight forwarding, warehousing and distribution, is one of the fastest growing logistics company with CAGR of more than 60% over last 5 years. With 18 offices across India and international offices in Singapore, Malaysia, Hong Kong, South Korea and China and about 540 employees, Everstone’s funding will enable Transpole to create further scale on both existing and new trade lanes and expand its operations in India and international locations. Commenting on this deal, Ritesh Chandra, Executive Director, Avendus Capital said, “The investment by Everstone in Transpole Logistics reinforces the attractiveness of the sector for private equity funds. Within the sector, Transpole is poised to be one of the significant players in Asia in the coming years. “ Transpole Logistics which was founded in 2004, has seen phenomenal revenue growth in the past 8 years and is a leading player by virtue of the high growth industry verticals and geographies that it is focused on. The company provides a wide array of logistics services including freight forwarding, transportation, customs clearance, warehousing and distribution to its customers. Recently, the company has also launched custom brokerage services in India that offer end-to-end services to customers, including preparation of documents, electronic submissions, calculation and payment of taxes and duties and facilitating communications with customs. Avendus was the sole financial advisor to Transpole on this transaction. 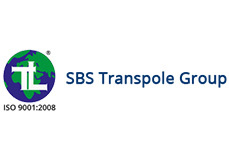 About Transpole Logistics Pvt. Ltd.
Transpole Logistics is an integrated supply chain solutions company with a focus on India and a presence across Asia. The Company is founded by Anant Choudhary, Pravin Rai and Vivek Shukla in 2004 and is run by a set of seasoned professionals. It currently has 540 employees across 23 offices and has a strong presence across India, China, Hong Kong, Korea, Malaysia and South Korea. It offers integrated logistics solutions with services such as freight forwarding, warehousing, distribution, project logistics, last mile operations, 3PL advisory etc. Everstone is a premier India and South East Asia focused investor with approximately US$1.8 billion dedicated to private equity and real estate and has invested over US$ 1 billion during last six years in India. Everstone has a significant resource base with over 100 people working across offices in India (Mumbai, Delhi and Bangalore), Singapore and Mauritius. Everstone has created a strong institutional platform with dedicated teams for long term investments and has been awarded the best private equity firm of the year in India by PE Asia for 2011. Some of Everstone's investments include Sohan Lal Commodities, IndoStar Capital, S Chand & Company, Sula, VLCC, Blue Foods and Regen Powertech. Avendus Capital is a leading financial services firm which provides customised solutions in the areas of financial advisory, equity capital markets, alternative asset management and wealth management. The firm relies on its extensive track record, in-depth domain understanding and knowledge of the economic and regulatory environment, to offer research based solutions to its clients that include institutional investors, corporations and high net worth individuals/families. In recent years, Avendus Capital has consistently been ranked among the top-five corporate finance advisors in India and has emerged as the advisor of choice for cross-border M&A deals, having closed over 40 cross-border transactions in the past 4 years. Avendus Securities through its Institutional Equities practice is able to offer high quality researchdriven advice to help its clients take investment decisions, while Avendus PE Investment Advisors manages funds raised from its investors by investing in public markets. Headquartered in Mumbai, the firm has offices in New Delhi and Bangalore. Avendus Capital, Inc (US) and Avendus Capital (UK) Pvt. Ltd. located in New York and London respectively are wholly owned subsidiaries offering M&A and Private Equity syndication services to clients in the respective regions.